At the Installation of the Provincial Grand Master, Douglas T. Philand, on 22nd. September 2018 in the Argyllshire Gathering Halls, Oban. The Provincial Grand Master with Members of his Mother Lodge. Loch Fyne No. 754. 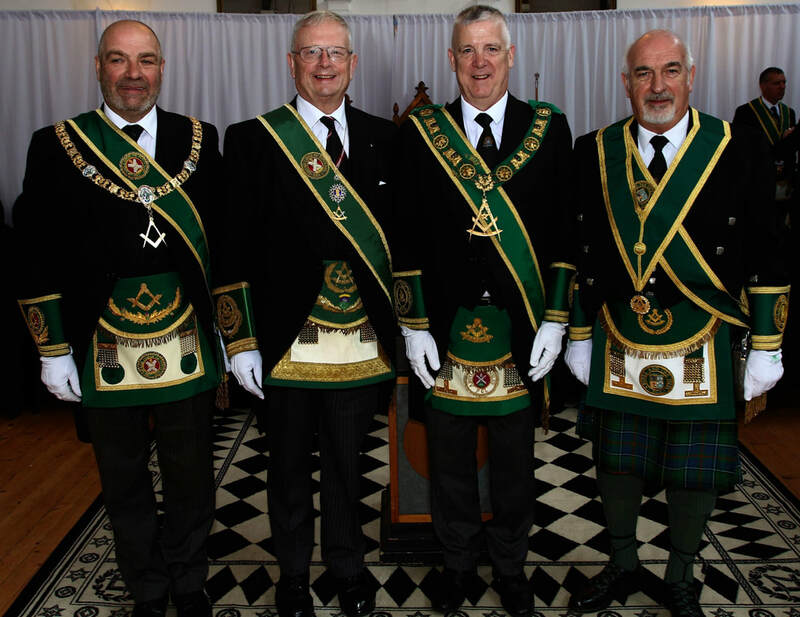 Depute Grand Master, Past Grand Master, Provincial Grand Master and Immediate Past Provincial Grand Master.